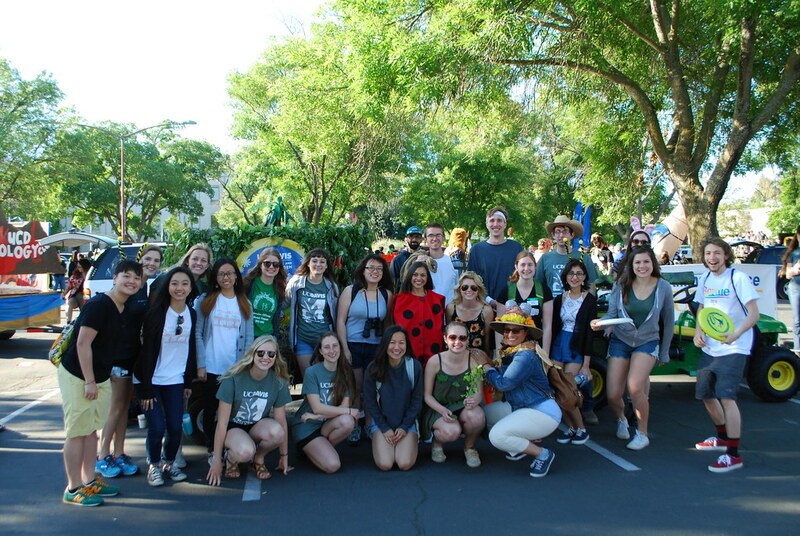 In addition to the float, just outside the Plant and Environmental Sciences Building, students also led a variety of hands-on activities, including a demonstration on how to re-grow fruits and vegetables from food scraps. This year students incorporated items that symbolize the hard work that went into the creation of the Arboretum and continues to symbolize its ongoing care. Along with these gloves, student’s pinned up pieces of paper that professors and students wrote on, describing what they loved about the arboretum and why. All of the plants on the float came from the Arboretum Teaching Nursery, while the wooden base of the float was reclaimed redwood from Russell Ranch. Couldn’t make it this year? See the photos! Click the image gallery link or scroll through the slideshow below.